The Doctoral Study Program of Cultural Studies was established in 2001, by the virtue of Decree of the Director General of Higher Education, Ministry of National Education of Republic of Indonesia, Number 2366/ D/ T/ 2001, dated July 11, 2001. And the official made the decision is the Director General of Higher Education, Ministry of National Education of Republic of Indonesia. The implementation is by the virtue of Statement of Udayana University Rector, No. 2444/ J.14/ HK.01.01/ 2001, dated July 11, 2001. The study program is incorporated in the Graduate Program at Udayana University, Denpasar. The doctoral Study Program of Cultural Studies brings a new atmosphere in the world of doctoral education at Udayana University. 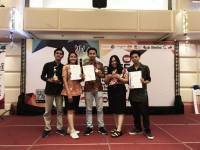 This study program is the development of the Master Program of Cultural Studies, Graduate Program at Udayana University which was incorporated in 1995. Although it was a simple initial existence, at the same time it was carrying noble mission in the education world. The Doctoral Study Program of Cultural Studies was at first accredited as C. And once various progresses has been done by this study program, in 2009, the National Accreditation Board of Higher Education of the Republic of Indonesia based on Decree of 013 BAN-PT/Ak-VII/S3/I/2009, dated January 23, 2009 states that the Doctoral Study Program (S3) of Cultural Studies, Udayana University, Denpasar is accredited with Grade B. In 2014, the Doctoral Study Program of Cultural Studies was reaccredited by the National Accreditation Board for Higher Education of the Republic of Indonesia, by means of the Decree No. BAN-PT No. 365/SK/BAN PT/Akred/D/IX/2014, dated September 11, 2014 with a value of 309, which is Grade B. Hence, such condition should be improved by the managers and lecturers to promote Doctoral Study Program of Cultural Studies. It is evidenced by the increasing public interest to enroll as students in Doctoral Study Program of Cultural Studies. It is inseparable from the study program management which has always based on the vision, missions, objectives, and strategies for achieving Doctoral Study Program of Cultural Studies. The Doctoral Study Program of Cultural Studies at Udayana University is held by the vision of creating excellent, independent, cultured, critical, and insightful experts, as well as mastering the disciplines in relation with the cultural studies’ perspective and parallel with the Key Scientific Pattern (PIP) of the culture of Udayana University. 1. Developing scientific insights and providing critical and insightful cultural studies experts. 2. Examining the cultural and humanity issues in interdisciplinary and multidisciplinary manner. 3. Fostering multicultural awareness capable of improving human dignity and values. 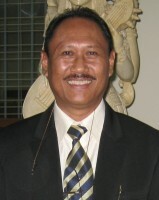 Nama Pejabat : Prof. Dr. A.A. Bagus Wirawan, S.U. Nama Pejabat : Dr. Putu Sukardja, M.Si.